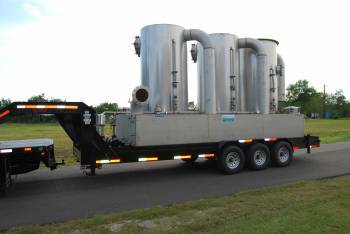 Vapor Tech rents a complete line of vapor scrubber systems. 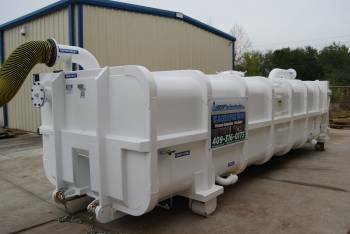 These units range from large trailer mounted systems (up to 6000 CFM) to smaller skid mounted units (up to 1000 CFM). Most of these systems consist of packed towers followed by specialized carbon vessels for polishing. Our systems satisfy the EPA requirement for proper emission control units which yield an efficiency of over 98% (40 CFR 61 Subpart FF). In addition, we manufacture systems which meet Texas MSS regulations. Our units have more packed-height than any other rental system on the market (responsible for high efficiencies). In addition, all of our systems have un-matched safety mechanisms such as carbon heat monitoring, thermal dissipation system, vacuum monitoring, and a vacuum-break system. 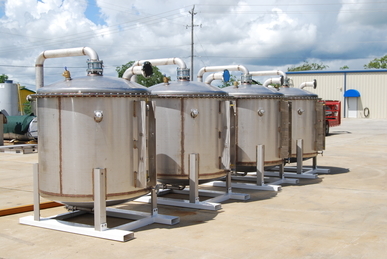 These units can be used to remove a host of vapors. A few include: hydrocarbons, acids, amines, ammonia, chlorine, EDC, hydrogen sulfide, mercaptans, and many more. Units rent by the day, week, month, or long-term. 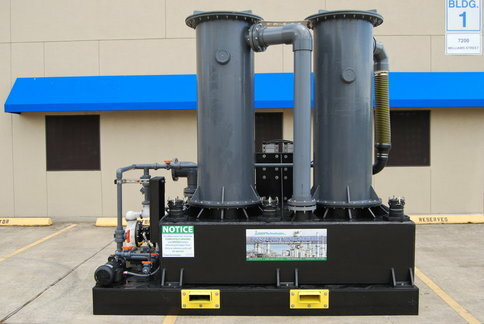 Twin Column rental scrubber system capable of up to 3000 CFM throughput. Extremely versatile in regards to usage. Stainless Steel construction. 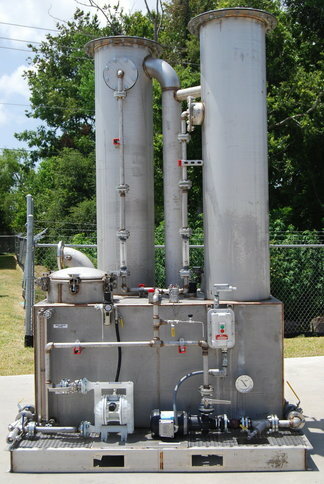 Triple column stainless steel scrubber system capable of airflows up to 6000 CFM. Twin column stainless steel scrubber for moderate flows up to 750 CFM. 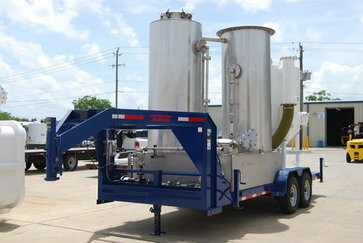 Skid mounted poly vapor scrubber designed for corrosive applications. Good up to 1250 CFM. 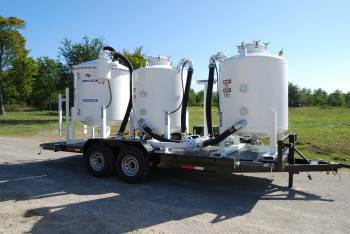 All-poly skid-mounted poly vapor scrubber system designed for corrosive applications. 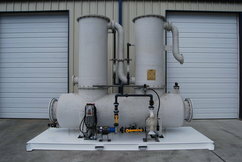 Fiberglass rental scrubber for corrosive applications up to 1250 CFM.